Yes To, Inc. had a big idea - to create affordable, all natural products that actually work and smell great. And from there, Yes To was born. With 5 unique families of face, hair and body products, the Yes To collection has an amazing array of products to help their customers create their own recipe of natural goodness. In less than 5 short years, they have become a global leader in their market and have a great e-commerce presence. 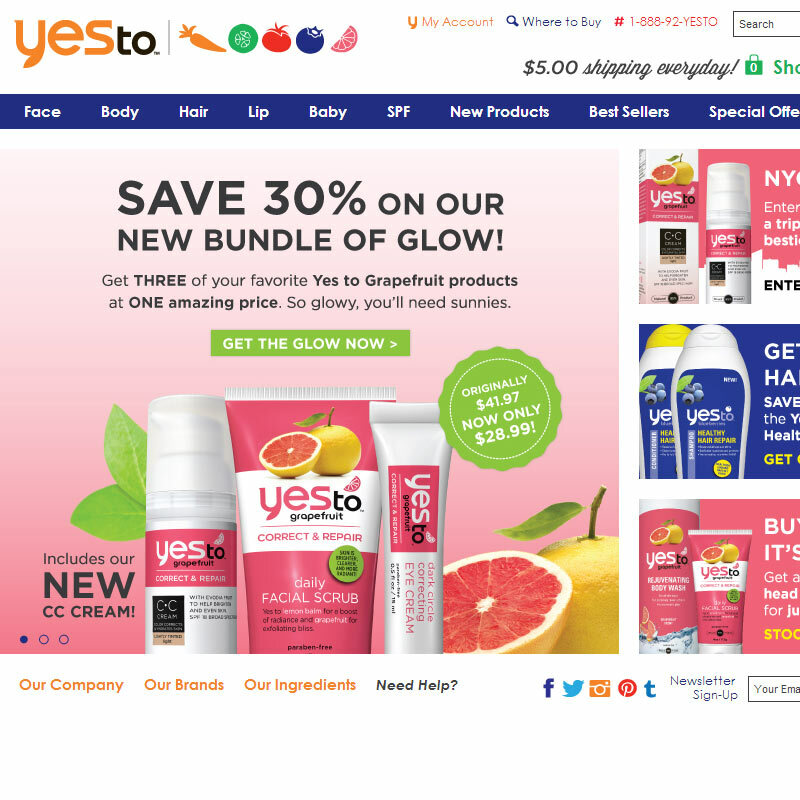 Yes To came to us as they were launching their brand in the U.S. market. 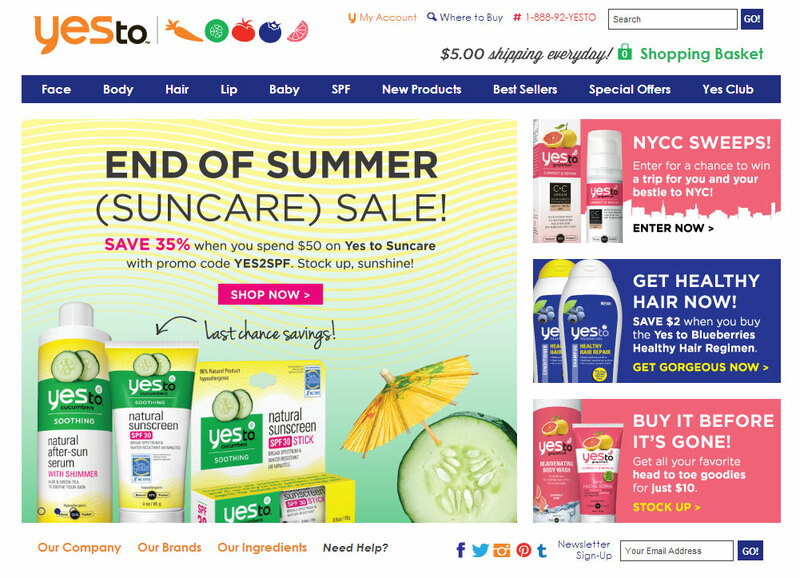 They needed a full service e-commerce site that would tell their brand story, introduce their customers to all natural ingredients and, most importantly, convert interest and education into sales. It has been an exciting 5 years for Yes To and DP250. We have developed a fully comprehensive e-commerce website, with scalability. When we launched, Yes To only had one product family, Yes to Carrots. We now have over 100 products from 5 different product families. Over the years, we've added functionality, such as a Loyalty program and Ratings and Reviews, that has allowed for the continued growth of Yes To's online business. In the fall of 2013, we launched our first mobile e-Commerce site for Yes To. And at the beginning of 2014, we added a Word Press blog implementation to the site features. We look forward to our continued partnership with such a great company.